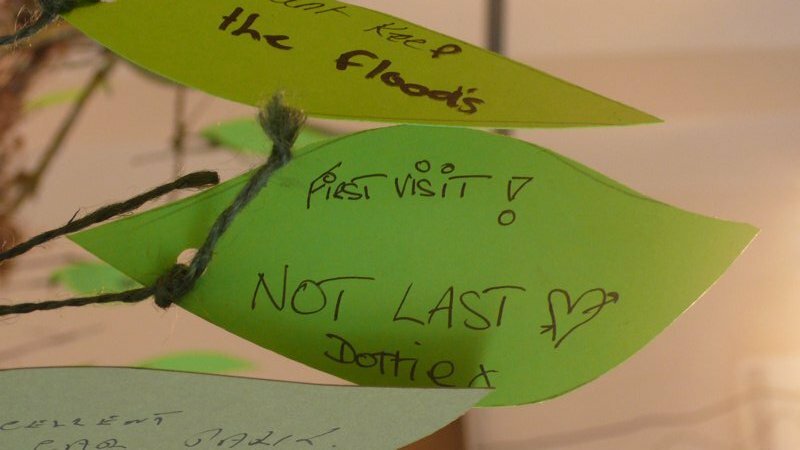 In 2010 Derek Eland was artist in residence in Cockermouth, Cumbria, contributing to the regeneration and resurgence of the town after the devastating floods of November 2009. 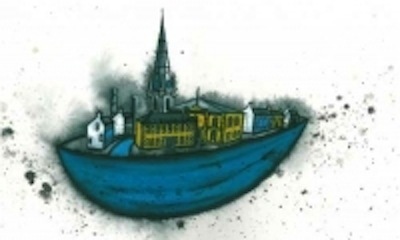 The artist worked with the people of Cockermouth to create an artwork which became an image for the town. 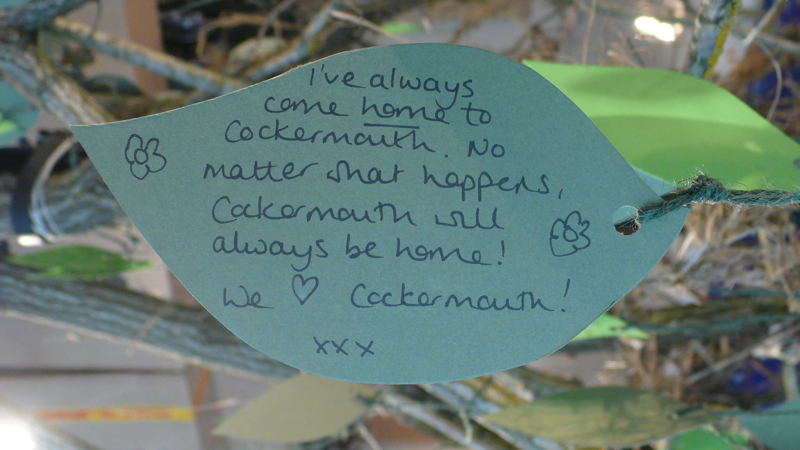 This image ‘An Ark for Cockermouth’ was used in collaboration with many poets, including Seamus Heaney, Carol Ann Duffy and Andrew Motion, in an exhibition in Cockermouth in 2010. 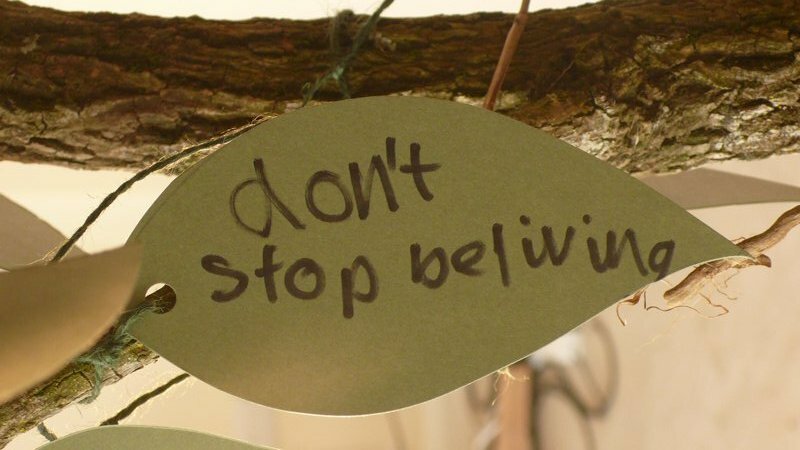 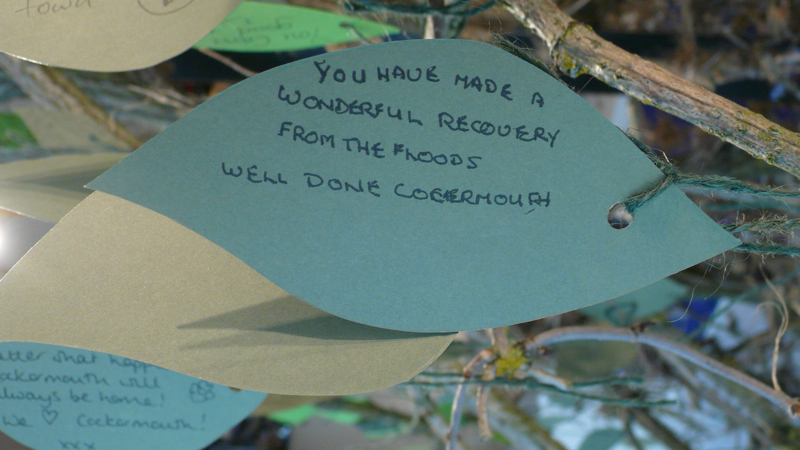 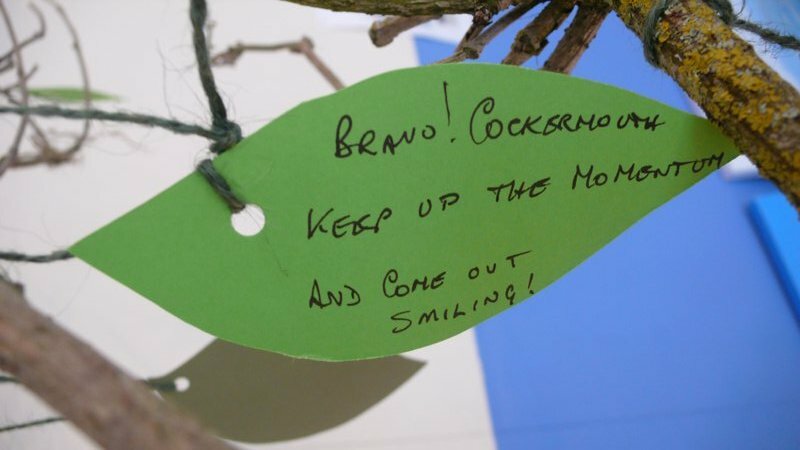 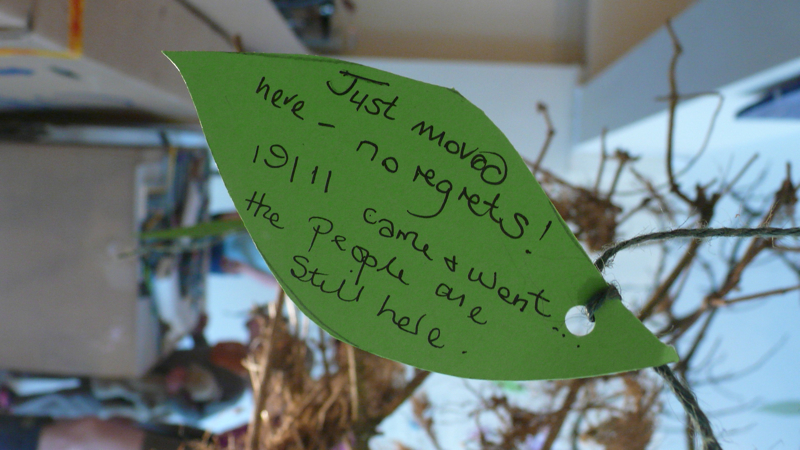 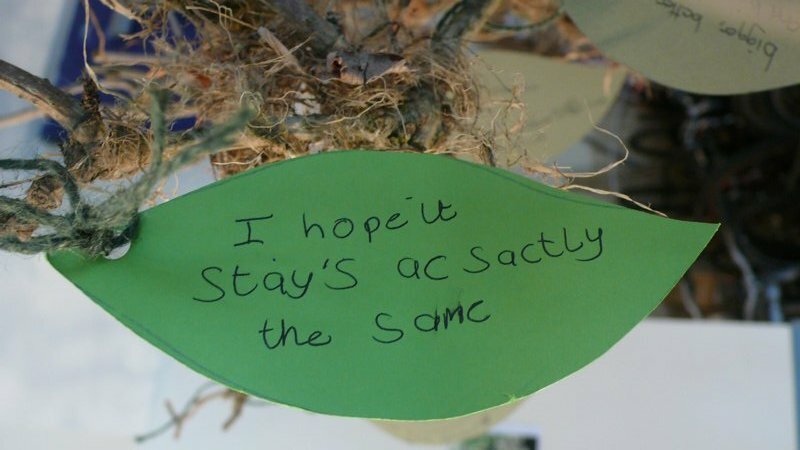 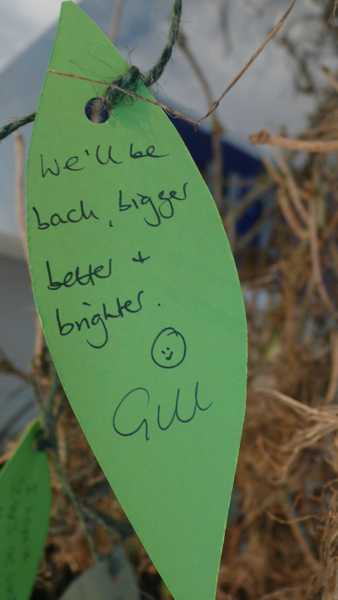 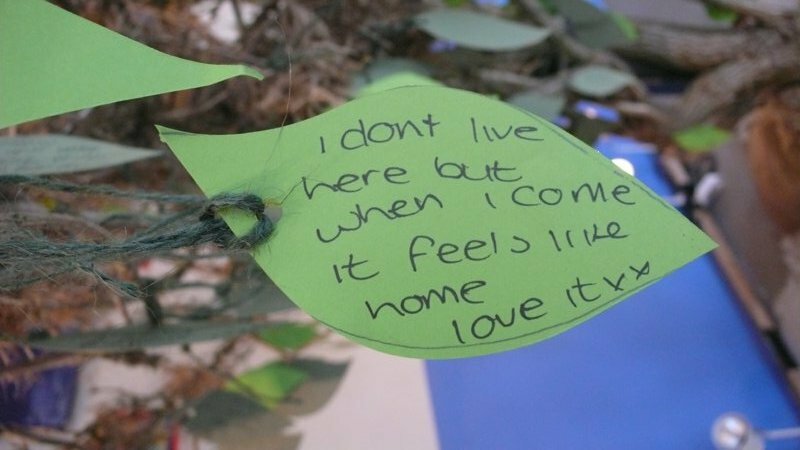 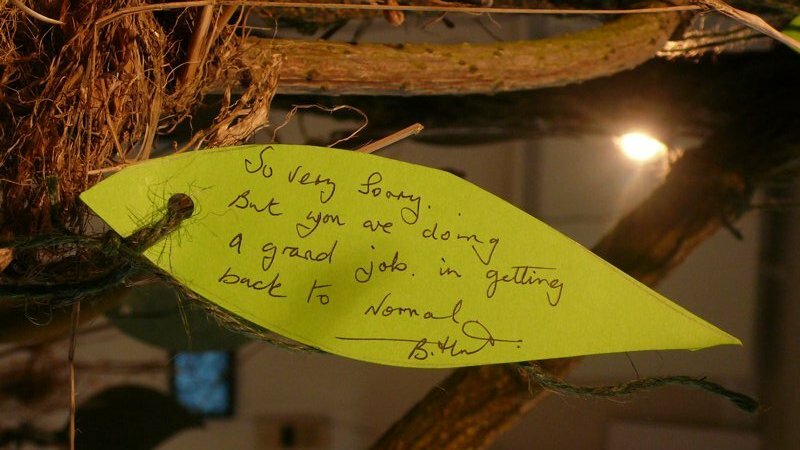 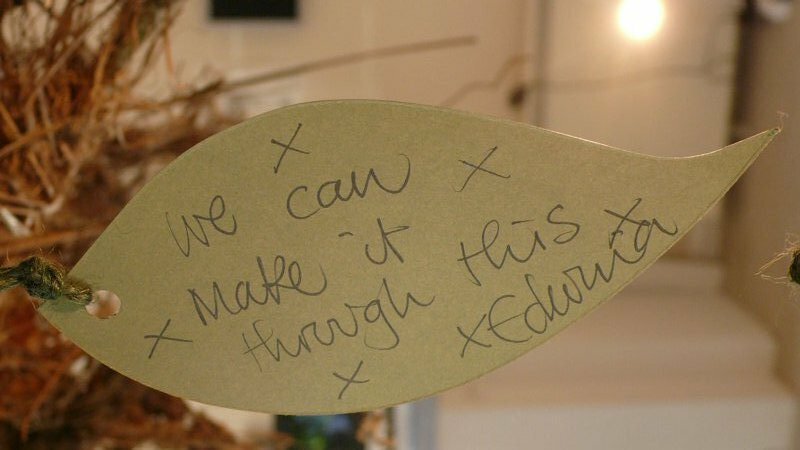 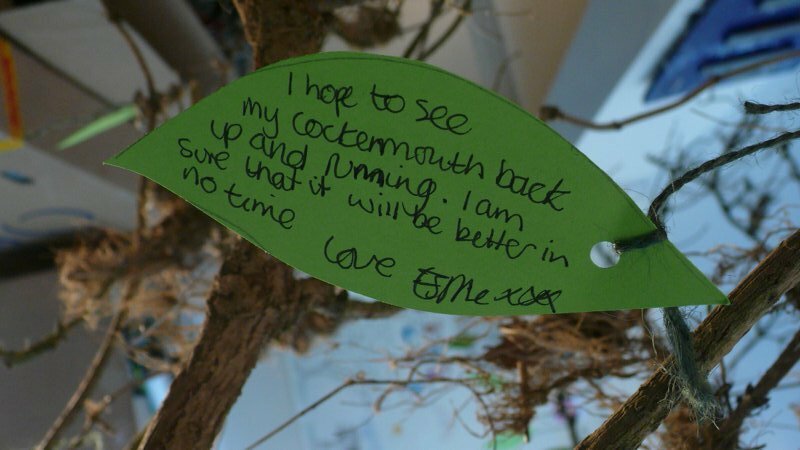 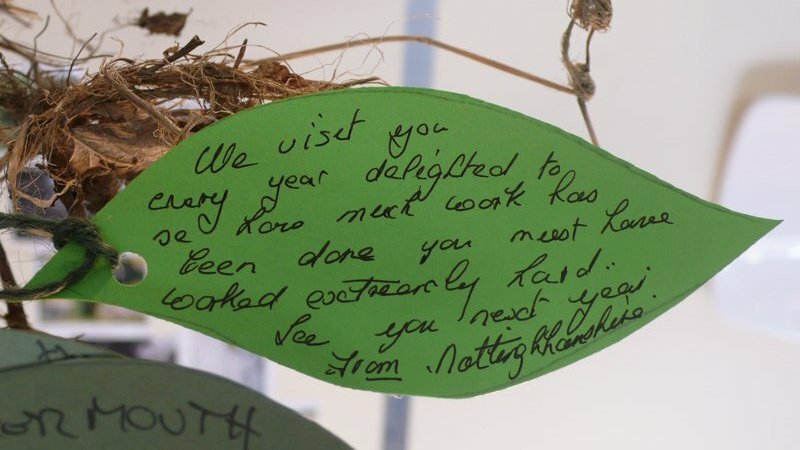 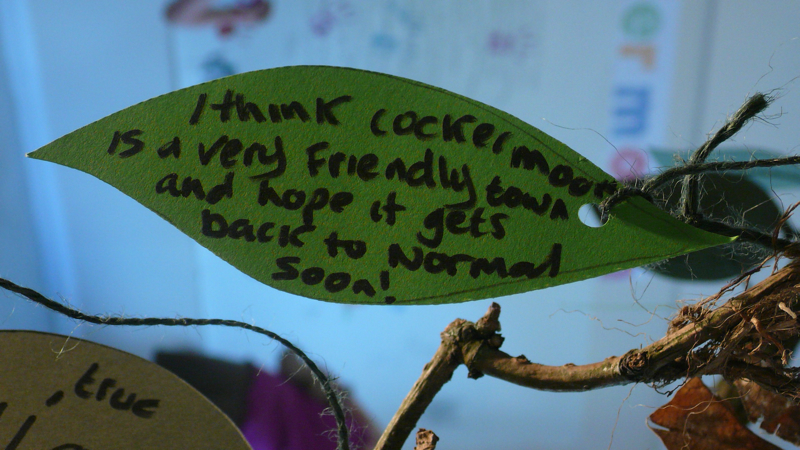 The project engaged with hundreds of people in the town who wrote messages on paper leaves which were attached to a tree which had been destroyed in the floods and resurrected.